The design of the SwimPike allows the head to track straight with the body following in an ultra-realistic swimming action. The long slender appearance combined with the multiple sink rates we offer, make the SwimPike a popular choice for targeting Muskie, Walleye, and Pike at different depths. By changing the retrieval speed and rhythm, you can just as easily imitate an injured baitfish. 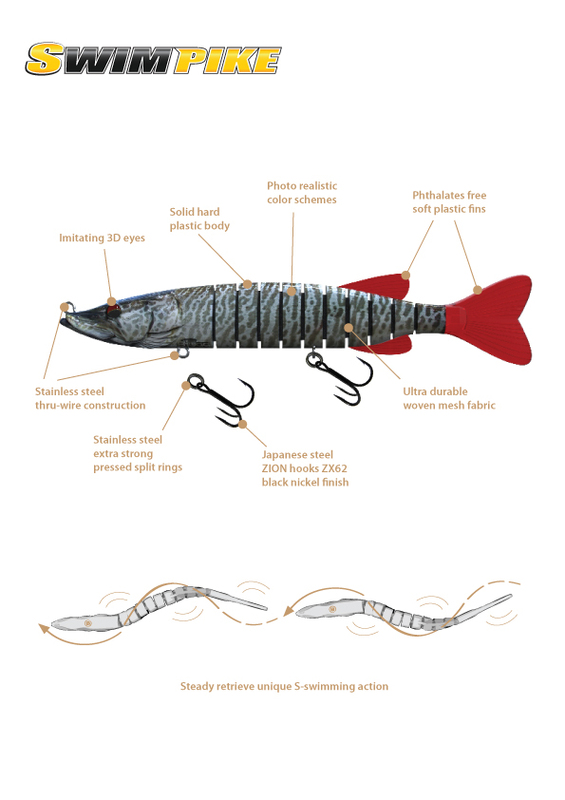 Whether you are looking for a gentle S action, or a tight wobble, the SwimPike’s design allows for a versatile presentation to match the conditions your fishing. 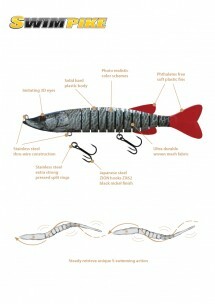 If your looking for a lifelike swimbait that will fool even the most wary fish, look no further than the SwimPike.